Sign-up and receive Property Email Alerts of Residential Estates in Highland Gate Golf & Trout Estate, Dullstroom. 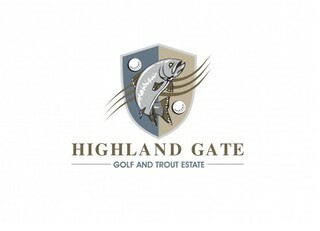 Located near Dullstroom in Mpumalanga, Highland Gate is a comfortable 2.5 hour drive from Greater Johannesburg. Nestled in the Steenkampsberg Mountain Range, it offers the best of both nature and golf estate amenities. The Ernie Els signature golf course is described as picturesque and challenging, whilst the various fishing options allow one to unwind and escape the stresses of modern urban living. Investors have been attracted by the vast 700 hectare property, of which only a third is developed. This promise of untouched countryside is perfectly suited for the outdoor enthusiast who is looking for a weekend retreat or indeed wants to look at Highland Gate as their home base. Consisting of just over 450 prime stands (ranging between 770m² and 1900m²), the assortment of leisure activities will ensure that the whole family is entertained. Whether it be hiking, fly fishing, mountain biking, swimming and bird watching; every taste and age demographic is catered for, in this rare and tranquil setting. Its high altitude charm lies in its star-filled evenings amidst a quite stunning backdrop. Perhaps the greatest compliment paid to Highland Gate was by Ernie Else himself, who explained that golfers may very well be torn between hitting their next shot and pausing to take a photo of the awe-inspiring scenery. Of course, they are welcome to take in the sights at the impressive Clubhouse, before heading home for a relaxing evening among their loved ones. With hiking & mountain biking trails on offer, the estate is truly a breath of fresh air.